​CALL US FOR A FREE ESTIMATE! While every style of window on the market features a glimpse of the world outside, few can boast the quality and view that is achieved by a picture window. Picture windows are the best way to provide an excellent and breathtaking view of the outdoors while staying inside, out of the elements. The experts at Natick Window Company have had lots of experience installing, replacing, and repairing this type of specialty window. Natick Window Company is proud to offer a large selection of picture windows, all of which provide a wonderful, unobstructed view of the outside, in addition to a variety of other benefits. Besides its clear aesthetic advantages, a picture window can actually significantly add to the overall market value of your home. These windows add character, and significantly brighten whatever room in which you choose to install them. Usually, picture windows have consisted of one large piece of glass. Today, however, the trend in the market has shifted away from single-paned picture windows, and moved toward the more modern double pane windows. 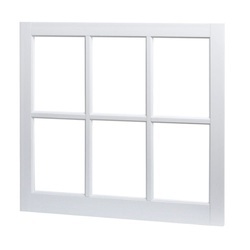 Double pane windows are made up of two separate pieces of glass, with a layer of air in the middle. This results in much better insulation for these windows. More homeowners are choosing this style of picture window for their home, but, as always, Natick Window Company will make sure that you get the exact style of window that you are looking for. Replacing picture windows is a delicate task. If you have an existing picture window in your home, make sure that you make sure that it receives adequate maintenance. Depending on the age of your picture window, replacement may be an option for you to consider, to make sure that your insulation remains in the best and most energy efficient condition. The temperatures can be harsh at times here in Natick, Massachusetts and Boston area, so upgrading to more efficient and current models is a great choice if you have older windows. Natick Window Company is proud to offer an extensive product selections, including new and replacement picture windows from the industry’s leading window manufacturers. We will work with you to find the perfect picture window for your home, and will make sure that it is customized exactly how you want. Depending on the style and design of the picture window that you select, these windows are very energy efficient and environmentally responsible. They are stable, and, if properly maintained, will last for many years to come. Little cleaning is required with this particular type of window, since they are designed to keep out dirt and dust, all the while letting in the maximum amount of natural sunlight. Natick Window Company is the leader in picture window replacement, picture window installation, and picture window repair in Natick and surrounding Boston area. If you would like to learn more about our picture window products and services, give us a call today at 508-251-8038! We have staff standing by to take your call, answer your questions, and tell you more about how we can bring the comfort and warmth of a picture window to your home today!